Predominantly Daoism, Mahayana Buddhism, traditional Chinese religions, and atheism. Small but significant Christian and Muslim minorities. Overseas Chinese are people of Chinese birth or descent who live outside the Greater China region, which includes territories administered by the rival governments of the People's Republic of China (PRC) and the Republic of China (ROC). Today there are over 40 million overseas Chinese, mostly living in Southeast Asia, where they make up a majority of the population of Singapore and significant minority populations in Indonesia, Malaysia, Thailand, the Philippines, and Vietnam. The overseas populations in those areas arrived between the sixteenth and nineteenth centuries, mostly from the maritime provinces of Guangdong, Fujian, and Hainan. During the nineteenth and twentieth centuries, Chinese also emigrated to Central and South America, and to the United States, Canada, Australia, New Zealand, and the nations of Western Europe. In 1984, the announcement that Britain would transfer the sovereignty of Hong Kong to the PRC triggered another wave of migration. In each area, overseas Chinese have retained their languages and cultural identity, while assimilating to varying degrees with the local population. Overseas Chinese dominate almost all the economies of Southeast Asia, and have sometimes played an important role in Chinese politics. Most of the funding for the Chinese revolution of 1911 came from overseas Chinese. Both the People's Republic of China and the Republic of China maintain cabinet level ministries to deal with overseas Chinese affairs, and have some legislative representation for overseas Chinese. Overseas Chinese are people of Chinese birth or descent who live outside the Greater China region, which includes territories administered by the rival governments of the People's Republic of China (PRC) and the Republic of China (ROC). The legal definition of a Chinese person is a person who holds citizenship in the People's Republic of China (including Hong Kong and Macau) or the Republic of China (Taiwan). Many overseas Chinese may not necessarily identify with either the PRC or the ROC. self-identification with Chinese culture, or acknowledgment of Chinese origin, and recognition as Chinese by the surrounding community. Under this definition, minority overseas Chinese number about 7 million, or about 8.4 percent of the total overseas population. In 1957, and again in 1984, the government of the Republic of China formalized an official “overseas Chinese” status for “citizens of the Peoples Republic of China resident abroad.” "Overseas Chinese Status" was granted by the ROC to residents of Hong Kong and Macau prior to their handover to Beijing rule. The Chinese language has various terms equivalent to the English "overseas Chinese." Huáqiáo (Simplified:华侨; Traditional:華僑; Chinese sojourner) refers to Chinese citizens residing in countries other than China. Huáyì (Simplified:华裔; Traditional:華裔) refers to ethnic Chinese residing outside of China.Another common term is 海外华人 (hǎiwài huárén), a more literal translation of overseas Chinese; it is often used by the PRC government to refer to people of Chinese ethnicities who live outside the PRC, regardless of citizenship. Overseas Chinese who are Cantonese, Hokkien (Taiwanese) or Hakka refer to overseas Chinese as 唐人 (tángrén), pronounced tòhng yàn in Cantonese, tng lang in Hokkien and tong nyin in Hakka. Literally, it means Tang people, a reference to Tang dynasty China when it was ruling China proper. This term is commonly used to refer to local people of Chinese descent, and not necessarily imply a relationship between those people and the Tang dynasty. Chinese who emigrated to Vietnam beginning in the eighteenth century are referred to as Hoa. Chinese emigration (also known as the “Chinese Diaspora”) first occurred thousands of years ago. Successive waves of emigration from China have resulted in the existence of subgroups among overseas Chinese, such as the new and old immigrants in Southeast Asia, North America, Oceania, Latin America, South Africa and Russia. 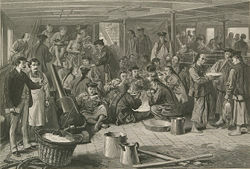 The mass emigration that occurred from the nineteenth century to 1949 was mainly a result of wars and starvation in mainland China as well as political corruption and civil unrest. Many emigrants were illiterate or poorly educated peasants and coolies (Chinese: 苦力, translated: hard labor), who were sent as labor to the Americas, Australia, South Africa, Southeast Asia, Malaya and other European colonies. 210 B.C.E., Qin Shi Huang dispatched Xu Fu to sail overseas in search of elixirs of immortality, accompanied by 3,000 virgin boys and girls. History is entangled in legend; Xu Fu may have settled in Japan. 661 C.E. Tang dynasty, Zheng Guo Xi of Nan An, Fujian was buried at a Philippine island. Seventh-eighth century, the Arabs recorded large numbers of Tang traders residing at the mouth of the Tigris and Euphrates rivers, and they had families there. Tenth century, Arab trader Masuoti recorded in his Golden Ley, in the year 943, that he sailed past Srivijaya and saw many Chinese people farming there, especially at Palembang. These people migrated to Nanyang to evade chaos caused by war in Tang Dynasty China. Zheng He became the envoy of Ming emperor and sent Cantonese and Hokkien people to explore and trade in the South China Sea and Indian Ocean on his Treasure ships. Java: Zheng He's compatriot Ma Huan recorded in his book (Chinese: zh:瀛涯胜览) that large numbers of Chinese lived in the Majapahit Empire on Java, especially in Surabaya (Chinese: 泗水). The place where the Chinese lived was called New Village (Chinese: 新村), with many originally from Canton, Zhangzhou and Quanzhou. Cambodia: Envoy of Yuan dynasty, Zhou Daguan (Chinese: 周达观) recorded in his The Customs of Chenla; (Chinese: 真腊风土记), that there were many Chinese, especially sailors, who lived there, many intermarrying with local women. Siam: According to the clan chart of family name Lim, Gan, Ng, Khaw, Cheah, many Chinese traders lived in Thailand. Some of the Siamese envoys sent to China were these people. Borneo: Zheng He recorded that many Chinese people lived there. 1405- Ming dynasty, Tan Sheng Shou, the Battalion Commander Yang Xin and others were sent to Java's Old Port (Palembang; Chinese: 旧港) to bring the absconder Liang Dao Ming (Chinese: 梁道明) and others to negotiate pacification. He took his family and fled to live in this place, where he remained for many years. Thousands of military personnel and civilians from Guangdong and Fujian followed him there and chose Dao Ming as their leader. 1459- Ming emperor sent Hang Li Po to Malacca along with 500 other female attendants; many attendants later married officials serving Mansur Shah, after Li Po accepted conversion to Islam and married the sultan. Map of Chinese Migration during the 1800s - year 1949. After slavery had been abolished throughout the British colonies, colonists sought to replace African slaves with indentured laborers from China and India. During the same period, there was widespread famine and a surplus of labor in the Chinese provinces of Fujian and Guangdong. Events such as the Second Opium War (1856-1860) and the Taiping Rebellion (1851-1864) had caused disruption of agriculture and economic activities. Large numbers of unskilled Chinese were sold as contract laborers, in the coolie trade, in exchange for money to feed their families; this type of trading was known as maai jyu jai (selling piglets : 賣豬仔). Many laborers were unable to return to China after their contracts expired. Many Hokkien and Cantonese chose to work in Southeast Asia. In North America and Australia, great numbers of laborers were needed for the dangerous tasks of gold mining and railway construction. Some overseas Chinese were sold to South America during the Punti-Hakka Clan Wars in the Pearl River Delta in Guangdong. From the mid-nineteenth century onward, emigration was directed primarily to Western countries such as the United States, Canada, Australia, New Zealand, and the nations of Western Europe; as well as to Peru (where the Chinese immigrants are called tusán), Panama, and to a lesser extent, Mexico. In 1849, after Cantonese sailors and merchants returned with early stories of the California Gold Rush, Chinese gold-seekers began arriving, at first in modest numbers, to "Gold Mountain," the name given to California in Chinese. They were soon followed by thousands, mostly from Guangdong province, who hoped to make their fortunes. Chinese laborers in the United States helped build the first transcontinental railway, worked the southern plantations after the Civil War, and participated in setting up California's agriculture and fisheries.They met with persecution from the settled European population, were sometimes massacred, and were forced to relocate into what became known as Chinatowns. In 1882, the U.S. Congress passed the Chinese Exclusion Act prohibiting immigration from China for the next ten years. This law was extended by the Geary Act in 1892, and Chinese immigration remained under severe restrictions until World War II. Chinese emigration to America: sketch on board the steam-ship Alaska, bound for San Francisco. 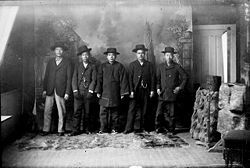 Portrait of Chinese-American men including Wa Chin and Tang Ya-Shun in Georgetown (Clear Creek County), Colorado. Dated 1890-1910. The Chinese revolution in 1911, the Chinese Civil War between the Kuomintang and the Chinese Communist Party (1927 – 1950), and the subsequent establishment of the Peoples Republic of China drove many economic and political refugees overseas. From the 1950s until the 1980s, the PRC placed strict restrictions on emigration. During that period, most of the Chinese immigrating to Western countries were already overseas Chinese or were from Taiwan or Hong Kong. Many people from the New Territories in Hong Kong emigrated to the UK (mainly England) and the Netherlands during the post-war period to earn a better living. In 1984, the announcement that Britain would transfer the sovereignty of Hong Kong to the PRC triggered another wave of migration to the United Kingdom (mainly England), Australia, Canada, United States, and Latin America. The Tiananmen Square protests of 1989 further accelerated this migration, which slowed after the transfer of sovereignty in 1997. More recent Chinese presences have developed in Europe, where they number nearly a million, and in Russia, where they number over 600,000, concentrated in Russia's Far East. Russia’s main Pacific port and naval base of Vladivostok, once closed to foreigners, today is bristling with Chinese markets, restaurants and trade houses. Experts predict that the Chinese diaspora in Russia will increase to at least 10 million by 2010 and Chinese may become the dominant ethnic group in the Russian Far East region 20 to 30 years from now. 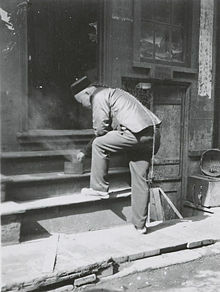 Until the Chinese Revolution in 1911 Chinese living abroad were forced to wear a queue, as an expression of their loyalty to the Manchu Qing emperor. Photo in San Francisco Chinatown from 1910. In recent years, the People's Republic of China has built increasingly stronger economic ties with Latin American and African nations. As of August 2007, there were an estimated 750,000 Chinese nationals working or living for extended periods in different African countries. Overseas Chinese have sometimes experienced hostility and discrimination (see Sinophobia). A major point of friction with their host communities is the often disproportionate economic influence of the overseas Chinese (who dominate almost all the economies of Southeast Asia), and their tendency to segregate themselves into a subculture. The anti-Chinese Jakarta Riots of May 1998 and Kuala Lumpur Racial Riots of May 13, 1969, seem to have been motivated by these perceptions. Ethnic politics can be found to motivate both sides of the debate. In Malaysia, where overseas Chinese control at least 55 percent of the economy, the question of to what extent ethnic Malays, Chinese, or others are "native" to Malaysia is a sensitive political issue. Chinese politicians support equal access to government contracts and university scholarships, while many "Bumiputra" ("native son") Malays demand preferential treatment in these areas on the grounds that their group needs such protections in order to retain its patrimony. In Indonesia, where Chinese control at least 22 per cent of the Indonesian economy, ethnic Chinese are not allowed to educate their children in formal Chinese-language schools. In some cases cultural objects such as Chinese calendars are banned. Chinese-language signs were banned in Indonesia until 2004. In Thailand, where ethnic Chinese control at least 44 per cent of the Thai economy, they are forced to adopt Thai names. Chinese control at least 22 per cent of the Vietnamese economy and 11 per cent of the Filipino economy. Many of the overseas Chinese who worked on railways in North America in the nineteenth century suffered from racial discrimination in Canada and the United States. Although discriminatory laws have been repealed or are no longer enforced today, both countries at one time introduced statutes that barred Chinese from entering the country, such as the Chinese Exclusion Act. On May 6, 1882, Congress forbade further immigration of Chinese laborers for ten years. The Chinese Exclusion Act ended America's "open door" policy and began discriminatory distinctions based on race and national origin. Chinese caught entering the country illegally were quickly deported. The law exempted those Chinese, but the law forbade their naturalization. When China became a U.S. ally in 1943, terms of the Exclusion Act were ended, and Chinese were processed through existing U.S. Immigration Laws. The Canadian Chinese Immigration Act, 1923 barred almost all Chinese, including those with British citizenship, from entry, and was not repealed until 1947. Indonesia and Myanmar were among the countries that did not allow birth names to be registered in foreign languages, including Chinese. Since 2003, the Indonesian government has allowed overseas Chinese to use their Chinese name and to record their Chinese family name on birth certificates. In Vietnam, Chinese names are pronounced with Sino-Vietnamese readings. For example, 胡锦涛 (pinyin: Hú Jǐntāo) would become "Hồ Cẩm Đào." Often there is no distinction between Vietnamese and ethnic Chinese. In Western countries, the overseas Chinese generally use romanized versions of their Chinese names, and the use of local first names is also common. The Chinese have introduced a strong cultural influence to some countries such as Vietnam. A large number of Chinese people stayed in Vietnam and never returned to China, and many Chinese customs have been adopted by native Vietnamese. The usage of Chinese languages by overseas Chinese has been determined by a number of factors, including ancestry, their migrant ancestors' "regime of origin", assimilation through generational changes, and official policies of their country of residence. Within Southeast Asia, the use of Chinese language among overseas Chinese varies considerably. Ethnic Chinese in Indonesia and Thailand have been subjected to official, and at times draconian, assimilation policies, and many of them are no longer proficient in the Chinese language, particularly those living in Java, who are descended for 10 generations or more from their Chinese forebears. 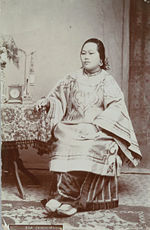 Chinese living in Sumatra, whose line of descent is a relatively short 4 or 5 generations, did not give up their dialects. Most of the ethnic Chinese in Medan still speak Hokkien within their community. Malaysian Chinese speak a wide variety of dialects, their prevalence being concentrated around particular metropolitan centers: the Penang, Klang and Malacca groups are predominantly Hokkien-speaking; the Kuala Lumpur, Seremban & Ipoh group is predominantly Cantonese and Hakka-speaking; whereas in East Malaysia (Malaysian Borneo), Hakka and Mandarin is widely spoken, except in Sibu, Fuzhou and in Sandakan, where Cantonese dominates. In Singapore, where ethnic Chinese are in the majority, Mandarin is recognized as one of the official languages. Singapore uses Simplified Chinese characters, in contrast to other overseas Chinese communities which used Traditional Chinese characters almost exclusively until the 1990s, when PRC nationals began to emigrate in substantial numbers. The official policy in Singapore has influenced neighboring Johor, in the south of Peninsular Malaysia, where Mandarin is predominantly spoken among Chinese communities. Many overseas Chinese populations in North America speak some variety of spoken Chinese. In the United States and Canada, Chinese is the third most spoken language. Historically, Cantonese has been prevalent, because most immigrants, from the nineteenth century up through the 1980s, were from southern China. The recent opening up of the PRC has increased the use of Mandarin in North America. In New York City, although Mandarin is spoken as a native language among only ten percent of Chinese speakers, it is used as a secondary dialect among the greatest number of them and is on its way to replacing Cantonese as their lingua franca. Although Min Chinese is spoken natively by a third of the Chinese population there, it is not used as a lingua franca because speakers of other dialect groups do not learn Min. The Chinese in Southeast Asian countries have established themselves in commerce, manufacturing and finance. In North America, Europe and Oceania, Chinese are involved in every occupation, including significant numbers in medicine, the arts, and academia. A 1987 article in Fortune magazine stated that most Asian wealth outside Japan is in the hands of the “so-called Overseas Chinese,” and described them as an exceptionally enterprising people. Among the overseas Chinese are a number of billionaire and multi-millionaire businessmen, such as Singapore’s Lee Seng Wee; Liem Sioe Liong, Indonesia's wealthiest businessman; Hong Kong-based Y. K. Pao; Li Ka-shing, 59, who has acquired a net worth of $2.5 billion trading Hong Kong real estate; and Y. C. Wang, founder and chairman of the Formosa Plastics Group. Both the People's Republic of China and the Republic of China maintain highly complex relationships with overseas Chinese populations. Both maintain cabinet level ministries to deal with overseas Chinese affairs, and many local governments within the PRC have overseas Chinese bureaus. Both the PRC and ROC have some legislative representation for overseas Chinese. In the PRC, some seats in the National People's Congress are allocated for returned overseas Chinese. In the ROC's Legislative Yuan, there are eight seats allocated for overseas Chinese. These seats are apportioned to the political parties based on their vote totals on Taiwan, and then the parties assign the seats to overseas Chinese party loyalists. Most of these members elected to the Legislative Yuan hold dual citizenship, but must renounce their foreign citizenship (at the American Institute in Taiwan for American citizens) before being sworn in. Overseas Chinese have sometimes played an important role in Chinese politics. Most of the funding for the Chinese revolution of 1911 came from overseas Chinese. In 1894, Sun founded the Revive China Society (興中會; Hsing-chung hui) in Hawaii to promote the goal of a prospering China, and as the platform for future revolutionary activities. Members were drawn mainly from fellow Cantonese expatriates and from the lower social classes. Sun returned to Hong Kong and set up a similar society under the leadership of Yang Ch'ü-yün. In 1895, after an attempt to capture Canton failed, Sun sailed for England and spent 16 years as an exile in Europe, the United States, Canada, and Japan, raising money for his revolutionary party and bankrolling uprisings in China. During the 1950s and 1960s, the ROC recruited the support of overseas Chinese communities through branches of the Kuomintang. During this period, the People's Republic of China tended to view overseas Chinese with suspicion, as possible capitalist infiltrators, and placed more importance on securing relationships with southeast Asian nations than on gaining support of overseas Chinese, and in the Bandung declaration explicitly stated that overseas Chinese owed primary loyalty to their home nation. Later in the conference, in 1955, PRC Prime Minister Zhou Enlai signed an article in the Bandung declaration specifically stating that overseas Chinese owed primary loyalty to their home nation, rather than to China. After the Deng Xiaoping reforms, the attitude of the PRC toward overseas Chinese changed dramatically. Rather than being regarded with suspicion, they were seen as people whose skills and capital could contribute to the economic development of the PRC. During the 1980s, the PRC actively attempted to court the support of overseas Chinese by, among other things, returning properties that had been confiscated after the 1949 revolution. More recently PRC policy has attempted to maintain the support of recently emigrated Chinese, who consist largely of Chinese seeking graduate education in the West. Many overseas Chinese are now investing in mainland China providing financial resources, social and cultural networks, contacts and opportunities. "Any person born abroad whose parents are both Chinese nationals or one of whose parents is a Chinese national shall have Chinese nationality. But a person whose parents are both Chinese nationals and have both settled abroad, or one of whose parents is a Chinese national and has settled abroad, and who has acquired foreign nationality at birth shall not have Chinese nationality". The Nationality Law of the Republic of China (Taiwan), which permits dual citizenship, considers persons who acquired foreign nationality at birth to be citizens of the ROC. There are over 40 million overseas Chinese, mostly living in Southeast Asia, where they make up a majority of the population of Singapore and significant minority populations in Indonesia, Malaysia, Thailand, the Philippines, and Vietnam. The overseas populations in those areas arrived between the 16th and 19th centuries, mostly from the maritime provinces of Guangdong and Fujian, followed by Hainan. There were incidences of earlier emigration from the 10th to 15th centuries, in particular to Malacca and Southeast Asia. Statistics compiled using local country statistics or best available estimates. Note that the percentages may not add up due to varying census and estimate dates. ↑ Spice Route (Sea Route) and ancient Chinese Migration 海上丝路与中国古代的海外移民.chinareviewnews. Retrieved June 5, 2008. ↑ "Chinese Fisheries in California," Chamber's Journal L (January 21, 1954): 48. ↑ Robert Alan Nash, "The Chinese Shrimp Fishery in California" (Ph.D. dissertation, University of California at Los Angeles, 1973), 182. ↑ Gabriel J. Chin, (1998) UCLA Law Review 46 (1) "Segregation's Last Stronghold: Race Discrimination and the Constitutional Law of Immigration"]. Abstract. Retrieved June 5, 2008. ↑ Paul Goble, Chinese Come To Russia, Terra Daily, February 10, 2006. ↑ Vladimir Radyuhin, A Chinese 'Invasion', Worldpress.org. 50 (12), December 200. Retrieved June 23, 2008. ↑ Chinese Presence Grows in Russian Far East, NewsMax.com. Wires, Wednesday, Aug. 24, 2005. Retrieved June 23, 2008. ↑ Vladivostok's Chinese puzzle, BBC News, 9 January, 2002, Retrieved June 23, 2008. ↑ Howard W. French, and Lydia Polgreen. Chinese flocking in numbers to a new frontier: Africa, International Herald Tribune, August 17, 2007. Retrieved June 5, 2008. ↑ Vijay Joshi, Race clouds Malaysian birthday festivities, Independent Online, August 31, 2007 Retrieved June 5, 2008. ↑ Johannes Widodo, THE URBAN HISTORY OF THE SOUTHEAST ASIAN COASTAL CITIES, Abstract from PhD Dissertation. (The University of Tokyo (Japan), Faculty of Engineering, Graduate School of Architecture, Fujimori Laboratory, 1996). Retrieved June 23, 2008. ↑ B. Hyo Shin, and Rosalind Bruno. Language Use and English-Speaking Ability: 2000, Census 2000 Brief, October 2003. Retrieved June 23, 2008. ↑ 14.0 14.1 2006 Census Profile of Federal Electoral Districts (2003 Representation Order): Language, Mobility and Migration and Immigration and Citizenship. (Ottawa: Statistics Canada 2007). ↑ The world's successful diasporas, World Business.com, April 3, 2007. Retrieved June 5, 2008. ↑ Nationality Law of the People's Republic of China china.org.cn. Retrieved June 5, 2008. ↑ US Department of State info on Malaysia Retrieved June 5, 2008. ↑ US Department of State. Retrieved June 5, 2008. 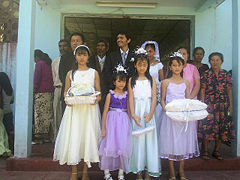 Source from the US Department of State shows (source linked) that as of 2006 there are 2.3 million Chinese in Vietnam. The 1.3 million figure from 1999 excludes Chinese of other nationalities not included in that census, and Chinese population has also increased dramatically since 1999 due simply to large birth rate. ↑ Dutch Census Bureau (excludes ethnic Chinese not from China) Retrieved June 5, 2008..
↑ Central Statistics Office Ireland.Beyond 20/20 WDS - Table View. Retrieved June 5, 2008. ↑ 2006 Australian Bureau of Statistics  Retrieved June 5, 2008..
Nash, Robert Alan. The Chinese shrimp fishery in California. Thesis—University of California, Los Angeles. 1973. Pan, Lynn. 1999. The Encyclopedia of the Chinese overseas. Cambridge, MA: Harvard University Press. ISBN 0674252101. Chinese Presence Grows in Russian Far East, NewsMax.com Wires, Wednesday, Aug. 24, 2005. Retrieved June 23, 2008. 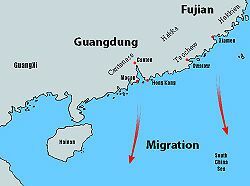 Spice Route (Sea Route) and ancient Chinese Migration 海上丝路与中国古代的海外移民 (Chinese) Retrieved June 5, 2008. Vladivostok's Chinese puzzle, BBC News. 9 January, 2002, Retrieved June 23, 2008. Nationality Law of the People's Republic of China - china.org.cnlivinginchina. Retrieved June 5, 2008.
Who are the Chinese people? (Chinese) Retrieved June 5, 2008. The world's successful diasporas, World Business.com, April 3, 2007. Retrieved June 23, 2008. Chin, Gabriel J., 1998, "Segregation's Last Stronghold: Race Discrimination and the Constitutional Law of Immigration", UCLA Law Review 46. Retrieved June 5, 2008. French, Howard W. and Lydia Polgreen. Chinese flocking in numbers to a new frontier: Africa, International Herald Tribune, August 17, 2007. Retrieved June 23, 2008. Goble, Paul. in Tallin. Chinese Come To Russia, United Press International, Terra Daily, February 10, 2006. from Yevgeniy Kolesnikov at Kreml.org website, Retrieved June 23, 2008. Joshi, Vijay. Race clouds Malaysian birthday festivities, Independent Online, August 31, 2007. Retrieved June 5, 2008. Radyuhin, Vladimir. A Chinese 'Invasion', Worldpress.org. 50 (12) (December 2003). from The Hindu (centrist), (Chennai, India), Sept. 23, 2003. Retrieved June 23, 2008. Romero, Robert Chao. "Sinophobic Legislation and the Organized Anti-Chinese Campaigns of Mexico, 1916-1935." Paper presented at the annual meeting of the The Law and Society Association, Renaissance Hotel, Chicago, Illinois, May 27, 2004. Abstract. retrieved 2008-06-28. Shin, B. Hyo. and Rosalind Bruno. Language Use and English-Speaking Ability: 2000, Census 2000 Brief, October 2003. Retrieved June 23, 2008. Widodo, Johannes. THE URBAN HISTORY OF THE SOUTHEAST ASIAN COASTAL CITIES, Abstract from PhD Dissertation. The University of Tokyo (Japan), Faculty of Engineering, Graduate School of Architecture, Fujimori Laboratory, 1996. Retrieved June 23, 2008. This page was last modified on 8 January 2019, at 21:14.